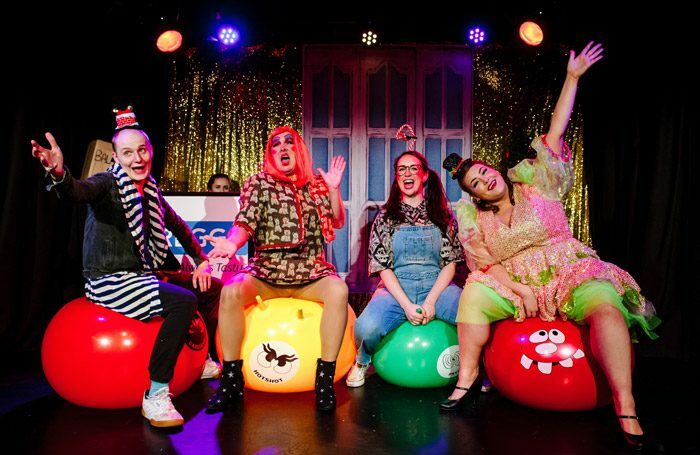 This wry, spry little adult panto in the upstairs space of the Canal Cafe Theatre is a refreshing antidote to the sugary sweetness of most other festive theatrical fare. Lesliey Longjohns and daughter Jacqueline live in a pokey London flat above a branch of Greggs. When Ivan Gregg, their evil landlord, threatens to sell the building to a hipster cafe, only a Fairy and some beans can help. 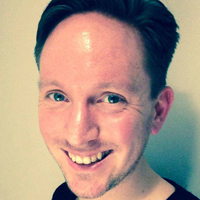 Written by Matthew Floyd Jones, the piano-playing half of comedy act Frisky and Mannish and writer and performer of Richard Carpenter is Close to You at this year’s Edinburgh Festival Fringe, this is a bright-eyed and spiky show. Jokes about recently disgraced celebrities sit alongside an affectionately panto-spoofing grin of a tale about gentrification. Fun re-workings of some camp pop classics are accompanied by musical director Katy Richardson on piano. These also cheerfully compensate for a clearly minimal set budget. As Lesliey – here, a panto dame stuck in the real(ish) world, who wants to set up a dog hypnotherapy business – Michael Head is gruff-voiced, foul-mouthed fun. Roann McCloskey and Jessica Brady – alumni of comedy show NewsRevue, which is based in the Canal Cafe Theatre – add nicely to the mix as a Saffy-like Jacqueline and compulsively cryptic Fairy. In particular, Brady, whose manic-smiling Fairy is a cracked Blyton character on the verge of a breakdown, trills her way to being the show’s star attraction. Jones’ targets – London rental prices and hipster culture – are familiar ones by now, but sparky writing and performances keep Tim McArthur’s production feeling fresh.